Scotch is a whisky that has a wide variety of styles and flavors, which I unfortunately don’t have the time to get into here. But, this is what you need to know. 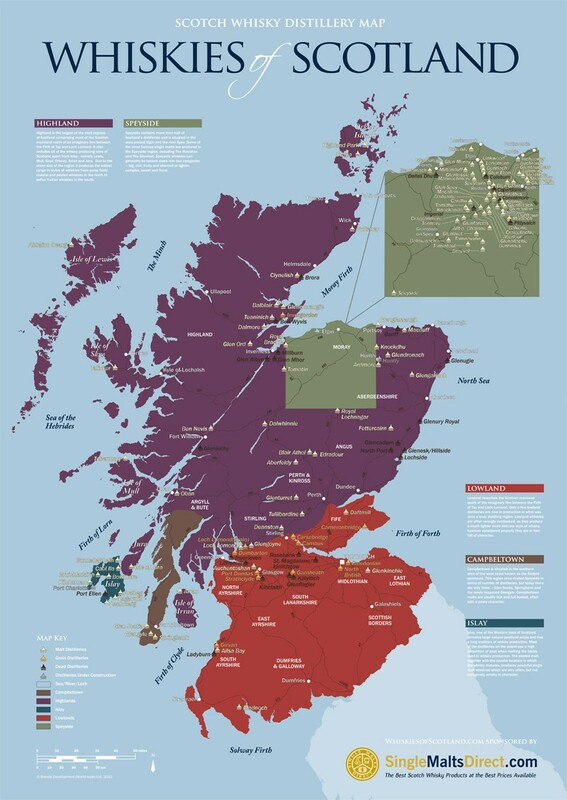 There are five regions in Scotland which produce whiskies: Campbeltown, Highland, Islay, Lowland and Speyside; and there are five styles of Scotch: blended grain, blended malt, blended Scotch, single grain and single malt. GSN has reviewed several Scotches over the years including: Aberlour, Auchentoshan, BenRiach, Bowmore, Cutty Sark, Glendronach, Glenrothes, Glen Garioch, Laphroaig, Monkey Shoulder, Pig’s Nose and Sheep Dip. If you’re looking to try a Scotch cocktail, GSN recommends the classic, Blood and Sand. It’s looking to be a long winter, so why not curl up with a good book? GSN presents the latest round-up of new titles coming out in the next three months. 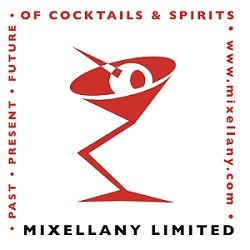 Learn some new tricks, brush up on your knowledge, and try a new cocktail or two! The Pocket Guide to Whisky by Blair Bowman (Birlinn Pocket Guides) The ever-expanding world of whisky can be a daunting one, with a deluge of new brands, distilleries and literature on the subject making it all but impossible for the amateur whisky drinker to find their feet in the industry. Following on from the bestselling Pocket Guide to Wine, Blair Bowman provides a compact and accessible, easy-to-use guide to help budding whisky enthusiasts on their way. Uniquely, The Pocket Guide to Whisky explores every kind of whisky, from the well known Scottish giants of Glenlivet, to the exotic Japanese Hibiki, and includes the ever-growing and hotly debated blended whiskies too! This little volume will tell you everything you need to know, from what to look for in whisky and what to avoid, to getting the best value for money to the perfect accompaniments to your dram and the ideal whisky for every occasion. From novice to expert, this guide enables whisky lovers to find out more about the brands they already like and to make informed choices as they explore further. Whiskies Galore: A Tour of Scotland’s Island Distilleries by Ian Buxton (Birlinn Ltd) Island whiskies have long held a fascination and a powerful emotional draw on whisky drinkers the world over. Their special combination of heritage, mystique, and remote location captures the imagination; their highly distinctive flavours are often imitated but seldom bettered. 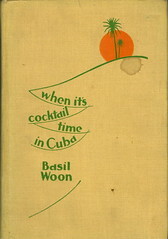 There have been few books on island whisky and none written in recent years. But Whiskies Galore is not your average whisky book. It is not merely a catalogue of distilleries, but a story of discovery and adventure. Join Ian Buxton on a personal journey across Scotland’s islands, where he learns to shoot with high explosives, ends up hurling his dinner into the sea, and comes face to face with a basking shark. Combining an expert’s knowledge of whisky with a travel writer’s fondness for anecdote, and with a keen description of place, he provides a special treat for all who love the islands’ magical drams. The Connoisseur’s Guide to Worldwide Spirits: Selecting and Savoring Whiskey, Vodka, Scotch, Rum, Tequila . . . and Everything Else (An Expert’s Guide … and Savoring Every Spirit in the World) by Richard Carleton Hacker (Skyhorse Publishing) Everyone thinks that they know how to drink, but do you really know the difference between a scotch and a whiskey? How about a gin or vodka martini? Do you know whether Johnny Walker is a single malt or a scotch? Well now is the time to finally learn the definitive answers to these questions, and so many more that you’ve always had about your favorite drinks. 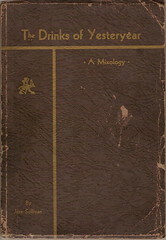 In The Connoisseur’s Guide to Worldwide Drinking, world-class connoisseur and celebrated critic Richard Carleton Hacker provides you with all the information that you’ll ever need to properly enjoy and imbibe very type of spirit, and to start drinking alcohol the right way. 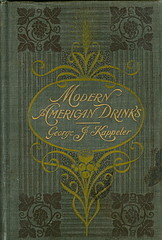 Complete more than a 100 full color photographs, The Connoisseur’s Guide to Worldwide Drinking is a perfect buy for every alcohol consumer, whether novice or aficionado. With The Connoisseur’s Guide to Worldwide Drinking you’ll be the most knowledgeable drinker in every bar that you walk into and at every cocktail party that you attend. What a Swell Party It Was! : Rediscovering Food & Drink from the Golden Age of the American Nightclub by Michael Turback (Skyhorse Publishing) Opening this book is like swinging open the doors to another time and place, when big city life was a unique mixture of innocence and sophistication, romance and formality. It spotlights twenty-five legendary clubs that thrived in the 1930s and ’40s, just as Jazz exploded into mainstream popularity and alcohol was no longer illegal to serve. 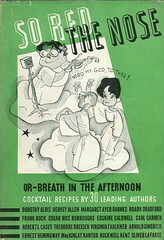 Through these pages and recipes, enter past the proverbial velvet rope into establishments forever-immortalized, such as Chez Paree in Chicago, Café Trocadero in Hollywood, The Cocoanut Grove in Los Angeles, The Blue Room in New Orleans, and New York City’s Cotton Club. 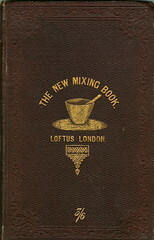 In addition to including entrée, appetizer, dessert, and cocktail recipes from their original menus, each featured venue will be introduced with vivid anecdotes and history, narrated in a breezy style and illustrated with reproductions of vintage photos. Sunny’s Nights: Lost and Found at a Bar on the Edge of the World by Tim Sultan (Random House Trade Paperbacks) The first time he saw Sunny’s Bar, in 1995, Tim Sultan was lost, thirsty for a drink, and intrigued by the single bar sign among the forlorn warehouses lining the Brooklyn waterfront. Inside, he found a dimly lit room crammed with maritime artifacts, a dozen well-seasoned drinkers, and, strangely, a projector playing a classic Martha Graham dance performance. Sultan knew he had stumbled upon someplace special. What he didn’t know was that he had just found his new home. Soon enough, Sultan has quit his office job to bar tend full-time for Sunny Balzano, the bar’s owner. A wild-haired Tony Bennett lookalike with a fondness for quoting Shakespeare and Samuel Beckett, Sunny is truly one of a kind. Born next to the saloon that has been in his family for one hundred years, Sunny has over the years partied with Andy Warhol, spent time in India at the feet of a guru, and painted abstract expressionist originals. But his masterpiece is the bar itself, a place where a sublime mix of artists, mobsters, honky-tonk musicians, neighborhood drunks, nuns, longshoremen, and assorted eccentrics rub elbows. Set against the backdrop of a rapidly transforming city, Sunny’s Nights is a loving and singular portrait of the dream experience we’re all searching for every time we walk into a bar, and an enchanting memoir of an unlikely and abiding friendship. Julep: Southern Cocktails Refashioned by Alba Huerta & Marah Stets (Lorena Jones Books) Craft cocktail maven Alba Huerta succinctly tells the story of drinking in the South through themes such as “Trading with the Enemy,” “the Rural South,” “the Drinking Society,” “the Saltwater South,” and others that anchor the menu at her destination bar, Julep. 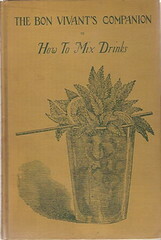 With historical overviews, 15 bar snack recipes, and 65 bespoke cocktail recipes, ranging from the iconic Mint Julep (and variations such as Rye Julep and Sparkling Julep) to modern inventions like the Snakebit Sprout, Liquid Currency, and Hot July, Huerta recounts the tales and traditions that define drinking culture in the American South today. 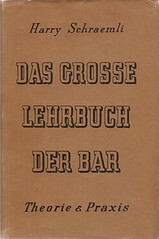 Approximately 80 evocative cocktail and location photographs convey the romance and style that distinguish Julep and serve to inspire beverage enthusiasts to relive Southern history via the bar cart. Belgian Abbey Beers by Jef Van den Steen (Lannoo Publishers) Belgian beer expert Jef Van den Steen looks at the history and production of all thirty Belgian abbey beers. What are the remarkable stories about this authentic, labor-intensive product? In which way are Trappist beers different from the others? In Belgian Abbey Beers, Jef Van den Steen unravels the different stages in the production process of the beers and talks very passionately about the origin and development of the various breweries within the walls or under the license of the abbey. Each brewery is presented with practical information, different types of beer, and tips for tourists. Photographer Andrew Verschetze magnificently captures the beers from the barrel to the glass. Everyone loves a good ghost story. 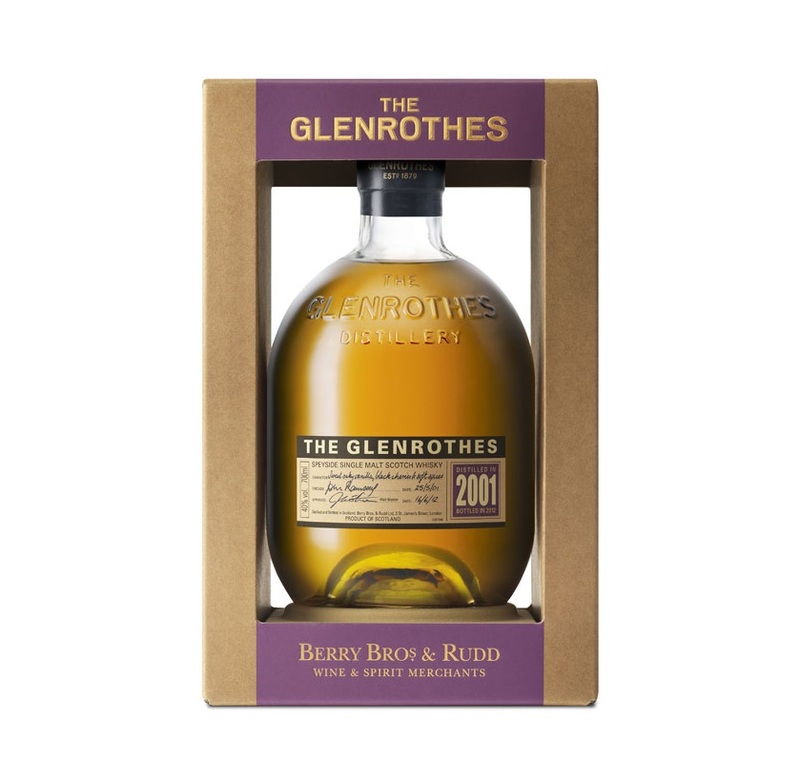 Not too many are associated with distilleries, but The Glenrothes has one. During the Boer war, a Colonel Grant from Rothes discovered an orphaned boy hiding in some bushes. Apparently, they hit it off, because Grant took the boy back to England with him after the war. His name was Byeway Makalaga and he became quite well-known in the town of Rothes over the years. He even joined the local football team. Finally, in 1972 he passed away. He was buried near the Glenrothes distillery in the town’s cemetery. In 1979, two new stills were installed, and several workers reported seeing the ghost of Byeway on the grounds. University professor Cedric Wilson was called in to investigate the rumours. He decided that the new project had disturbed some leylines under the earth. He suggested that the stills be relocated elsewhere in the factory. Some time later, the professor visited the cemetery with several others from Rothes and looked out at the hundreds of tombstones. He then directly walked 70 yards to a distant grave marker and appeared to be talking to himself. Even though he had never before been in the cemetery, nor knew where Byeway was buried, he had eerily gone directly to his resting place. When he returned to the crowd of onlookers, he simply told them that the spirit was at rest now. And his ghost has never been seen since. Nose: A nice balance of sweet and smoke. Taste: Fruity, with a back-burner of heathery smoke and wood. There are almost two distinct layers here with a vanilla/cherry cobbler holding hands with a traditional Speyside whisky. The belle of the ball. 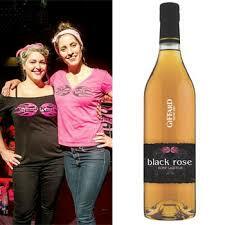 Finish: Long and with more of those fruity, black cherry notes. Memorable. Overall: Well done, and a testament to the twelve years spent under the watchful eye of the master distiller. The original Cutty Sark is a British Clipper ship built in 1869. Amazingly enough, despite a century and a half of English wars and a recent damaging fire, the ship is still in existence. A popular tourist attraction, it can be visited in London, England where it is dry docked. The ship was built in Scotland quite near the distillery where it’s namesake whisky has been produced since 1923. 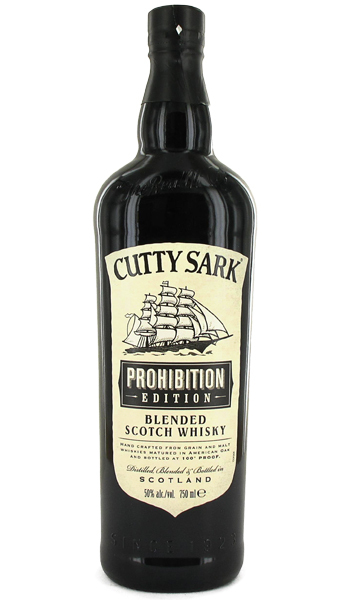 The word “cutty sark” is Scots and is a type of short skirt worn by Nannie Dee, a fictional witch created by Robert Burns in his famous 1791 poem, “Tam o’ Shanter”. The ship and the whisky obviously share a lot of history. This latest entry into the Edrington Groups’ Speyside portfolio, seeks to capture some of the mystique of prohibition era alcohol, as well as exhibit a more robust character. I think they’ve done quite well. Nose: Light honey sweetness, with a subtle floral scent. 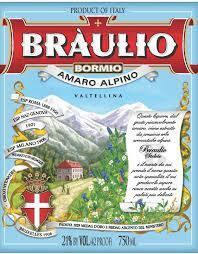 Taste: Initially, quite delicate, sweet and ever so slightly smokey. 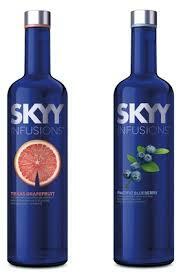 The higher proof brings out more body and vanilla oakiness upon the second sip. 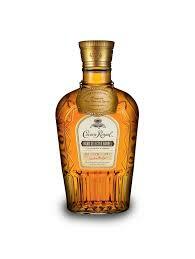 Finish: Fairly long with lingering notes of caramel, dark honey, sea salt, oakwood, and some fresh peppercorn. Overall: A solid blended scotch that has more character than many on the market. I appreciated the higher proof which brought out a lot of “chewiness” and heft. The Bowmore Distillery, located on the island of Islay was established in 1779. They use locally grown and floor malted barley, along imported malted and unmalted barley along with water from River Laggan to make their whiskies. They have a huge range of ages and expressions (over 20), but this latest was inspired by a devilish tale. 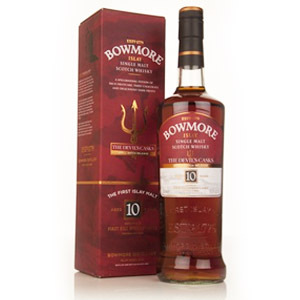 Whether the story is true or not, this 10-year-old, first fill sherry cask aged, high-proof whisky is a mouthful. Nose: Wood smoke, and a sweet maltiness. Taste: Thick, rich and intensely flavorful. In spite of the high-proof, the sherry tempers things down. There’s an almost dessert-like aspect to this whiskey which goes against intuition. The smoke typical of an Islay is held in check, but welcomes you on the initial tasting. Finish: Long, long, long. There is a lot going on here which runs the gamut from ginger spice and clove to sherry wine fruitiness. A whisky that keeps on giving and encourages contemplation. Overall: Another excellent expression from Bowmore. Grab a bottle of this while you can. It’s always a learning curve trying to figure out how to properly pronounce scotch distilleries’ names. 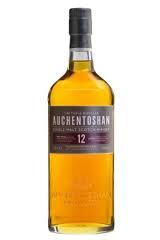 FYI, Auchentoshan Distillery is pronounced Aw-khen-tosh-an and translates into “the corner of the field”. One of five distilleries in the Scottish Lowlands, it is located on the outskirts of Clydebank in Dunbartonshire in the west of Scotland. 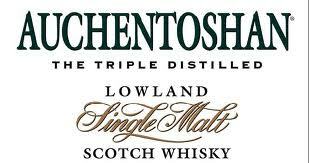 Auchentoshan create single malt whiskies, but what you may not be aware of is that their scotches are triple distilled. Very unusual, since that practice is usually reserved for Irish whiskies. They also use unpeated malt, and age in used bourbon and sherry barrels, giving their product an extra touch of sweetness, which definitely comes through in each of the following whiskies. 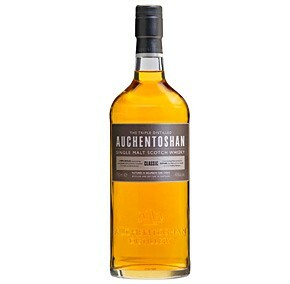 Auchentoshan Classic (80 proof) – Very light straw-like color. Light waft of peat smoke, lemon citrus, cinnamon bread, sun-dried tomato nose.